As it pertains to a testosterone injection a common question often revolves around the dosage. If you’re new to anabolic steroids this can be a little confusing, after all, there are multiple forms of testosterone each dosed in its own unique way. Even for the seasoned individual who is accustomed to a regular injection of testosterone is often misguided in his methods especially when it comes to dosing; we can largely thank the multitude of bad information floating around the web for this problem. To be frank, there isn’t a set one size-fits-all dose that will meet everyone’s needs but we can establish guidelines and parameters to follow. For the individual who has been prescribed hormone replacement therapy (HRT) if he receives a regular testosterone injection as part of this treatment, generally 250mg will be the max dose given, although a dose of 100mg-200mg every 7-14 days is a far more common testosterone injection for the HRT patient. In the U.S. users will generally be prescribed testosterone-cypionate or testosterone-propionate and the total injection dose will be based on the milligrams provided by the particular testosterone being used taking into account the half-life and then determining total dosing levels to meet this person’s needs. For example, if an individual is prescribed a dose of 200mg every two weeks one testosterone injection of Cypionate every two weeks is all that is needed. If the individual is prescribed testosterone-propionate at the same dosing level, 200mg every two weeks, he would need to inject approximately 50mg every 3-4 days. You and your physician will determine what is best for you. Although one bi-weekly injection is far more appealing some individuals will be able to maintain a more stable level with frequent doses of testosterone at a lower level making more frequent injections needed. For the performance enhancer a testosterone injection will need to far surpass HRT levels if we are to reach performance enhancing levels. The idea behind HRT is to simply increase testosterone levels in a manner that returns them to normal. For the performance enhancer the idea is to go beyond normal, to give our body an amount of testosterone it is incapable of producing beyond natural levels. This type of testosterone dosing is commonly referred to as a Supraphysiological dose and for most this will fall in the 400mg-500mg per week range at a minimum. Much less and you won’t see any true gains or benefit. For the novice or first time anabolic steroid user, a weekly testosterone injection of 400mg-500mg per week is a fine starting point. If you’re using testosterone-cypionate you will find the drug to be dosed at 200mg/ml meaning 2cc or 2ml of the testosterone will give you 400mg; you can inject all 400mg once per week or split it into two even 200mg doses approximately every 3-4 days. If you’re using testosterone-enanthate you will find the drug to be dosed at 250mg/ml meaning 2cc or 2ml of the testosterone will give you 500mg; you can inject all 500mg once per week or split it into two even 250mg doses approximately every 3-4 days. Many performance enhancers eventually far surpass this 400mg-500mg per week level but just as many find this to be a very comfortable and relatively safe dose and never find a reason to increase the dosing levels. Keep in mind, the higher the dose is the greater the risk. The reward of a higher dosed testosterone injection may indeed be very great but the odds of unwanted side-effects have also increased; there is a risk to reward ratio and only you can weigh and judge if the risk is worth it. It is important to note, if other anabolic steroids are being stacked with your regular testosterone injection, again, the risk to reward ratio increases yet even more. If you are a performance enhancer be certain you keep an eye on your health; have blood work done regularly as well a regular scheduled physicals. If you do reach the point where you wish to try very high doses, your eye on your health will need to be even more prevalent. Testosterone injections are the most common of all performance enhancing drug (PED) administrations. In many cases, testosterone is the only PED used by many performance athletes, as it is not only highly effective but one of the most well-tolerated PED’s in healthy adult men. Testosterone injections are very easy to perform, virtually painless and take all of about 30 seconds at most. Of course, depending on the type of testosterone you use will determine how frequently you need to inject, but this will not affect the ease of use. Of course, many are petrified of testosterone injections simply because they’re administering a PED. Let’s be clear, if you are a healthy adult male you have nothing to fear. The point is simple, you have no need to fear testosterone injections, as this is a hormone your body is quite accustomed to; in-fact, it craves it. Granted, while supraphysiological doses can be tolerated there will be a cutoff point in each man. The higher the dose goes the greater potential for adverse reactions, and while this is true, unfortunately there is not a one size fits all answer as to where this cutoff will occur. In the end, you must be responsible, listen to your body, pay attention to your body and supplement with caution. 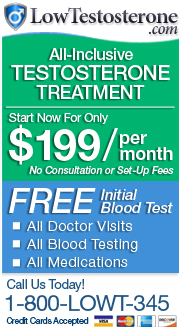 These same sites used for testosterone injections can be used for any steroid. · Traps and Calves should never be injected, they can be and that is why we listed them, they can handle the injection but there are a lot of nerves in those areas and you can really do damage if you’re not careful. · Glutes and Deltoids will be all most ever have to use.